Mesut Ozil has been handed a start by Unai Emery for Arsenal’s clash against Burnley this afternoon, with both Alexandre Lacazette and Pierre-Emerick Aubameyang set to lead the line for the home side. The Gunners take on Sean Dyche’s side today knowing that a win will put them level on points with Chelsea in 4th, and it seems like Emery is aware of that given the team he’s put out for their clash against the Clarets. The home side will lead with an attack of Lacazette, Aubameyang and Ozil this afternoon, with Granit Xhaka, Matteo Guendouzi and Mohamed Elneny set to start in midfield. 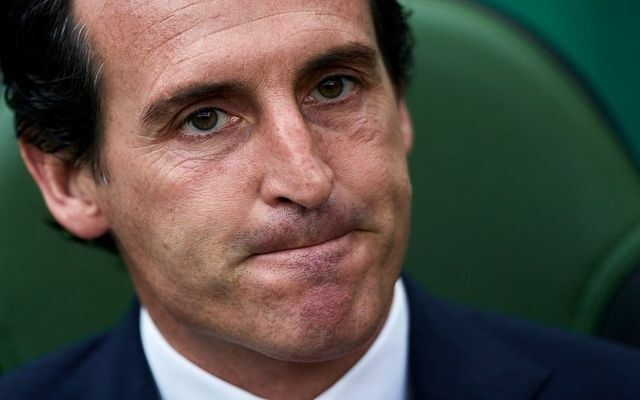 Emery has gone with a makeshift defence to face Burnley, with Nacho Monreal being made to play at centre back and not in his favoured position of left back. Following the announcement of their starting XI, fans flocked to Twitter to express their joy at seeing Ozil start for the north London side this afternoon, and given just how good the German is, we can see why! We’ve selected a number of tweets from fans expressing their delight at seeing Ozil being handed a start by Emery today for Arsenal’s clash vs Burnley. If we supported Arsenal, we’d feel the same way in all fairness! Be the first to comment on "Confirmed Arsenal starting XI vs Burnley: Inclusion of Superstar player has some fans over the moon"